Hillier Jewellers are proud to present an impressive collection of Bering watches that epitomise the elegance of classic Danish craftsmanship. High-quality materials such as HighTech Ceramic and sapphire glass, with their extreme scratch resistance and strength, ensure that time leaves no trace. As well as being highly scratch resistant, the HighTech-Ceramic technology is very light and heat resistant making them the ideal watch choice for those with busy lives. The super smooth surface gives the material a unique smooth touch and ensures distinctly comfortable wear. The Bering women’s watches are a beautiful accessory whilst the men’s watches are a chic watch choice of the sophisticated modern man. The simple aesthetic of each Bering Watch makes them incredibly versatile and easy to style, whilst the gemstone details elevate the look of the watch to a premium level. A brand that redefines time with its love for detail: it's officially Bering-Time. 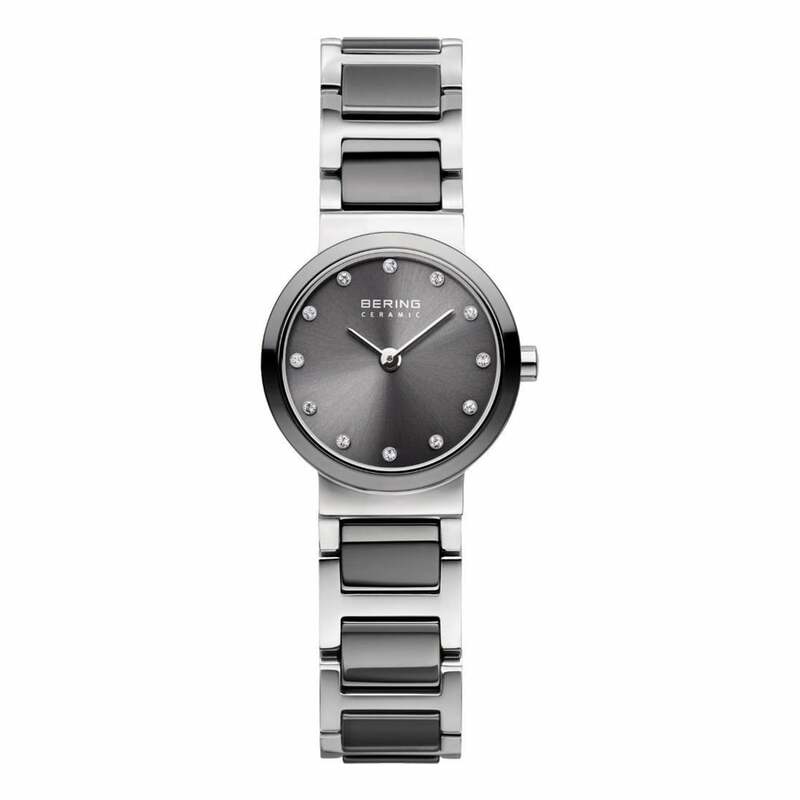 Browse the selection of men’s watches and women’s watches from Bering today. If you’re looking for something a little different, take a look at the complete collection of designer watches here at Hillier Jewellers for men’s watches and women’s watches of various premium styles. From athletic-inspired sports watches to stylish watches with a certain fashionable flair, we’ve got the perfect watch for you.